Basket abandonment is a huge challenge for the retail industry; with SaleCycle’s latest figures showing that more than 75% of visitors will leave a site without completing their purchase. Companies like ghd attract thousands of website visitors every day, so this equates to a massive amount of potential revenue left on the table. 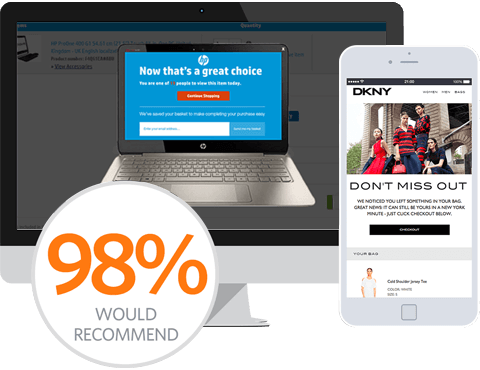 ghd identified this challenge and approached SaleCycle to create an integrated Email Remarketing program to help convert more of their website visitors into customers. 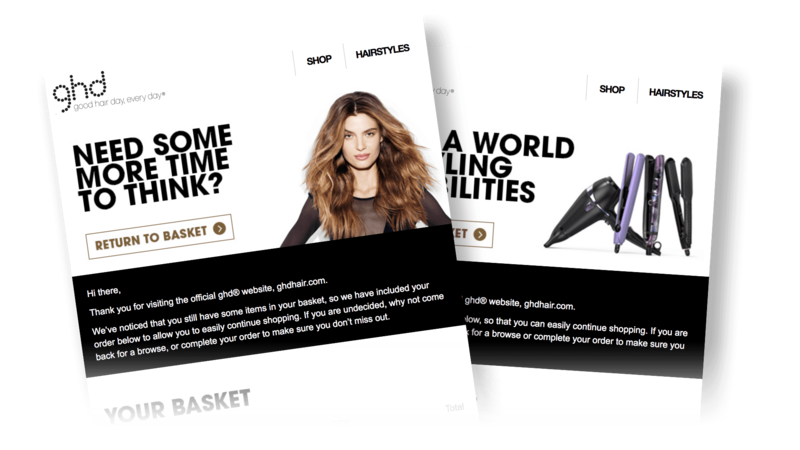 ghd partnered with SaleCycle to develop an email remarketing campaign to improve the customer experience and thereby drive more sales. A key element of ghd’s campaign is the use of honest consumer reviews within emails. These reviews offer useful insights and reassurance to consumers about the products they’re considering. It’s an effective form of social proof which helps to drive customers back to their shopping carts. 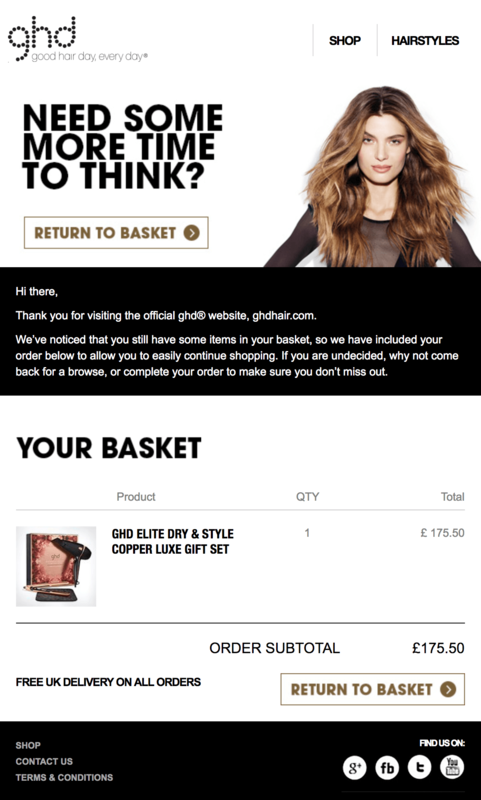 With the intelligent placement of reviews within emails, ghd is using its existing customers to do the selling. The partnership with ghd has proven to be a successful one, not only has it increased online sales; it has also improved the customer journey in the process. ghd’s email remarketing campaign boasts an email open rate of over 46%, resulting in an increase to overall online sales of almost 2.5%. Adding product ratings to the basket contents shown within their emails has been a great success for ghd. Emails sent with product reviews have boosted conversion rates by 57% compared to those without ratings. Working with SaleCycle has been fantastic. From set up to go-live, they look after absolutely everything, allowing me to concentrate on my day-to-day. The partnership between ghd, SaleCycle and Bazaarvoice has been brilliant, allowing us to cleverly show product ratings within our email creatives – proving to encourage the sale. Product Ratings	Tempt them with product ratings.